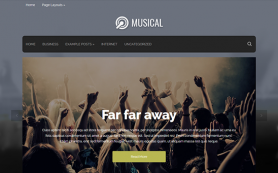 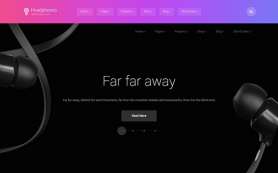 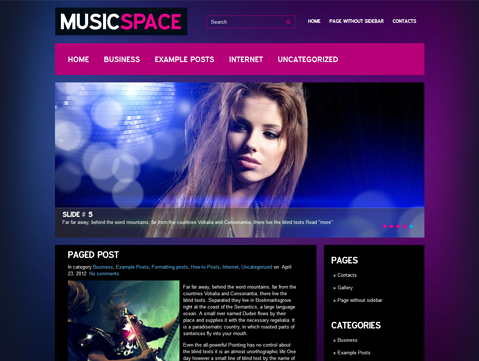 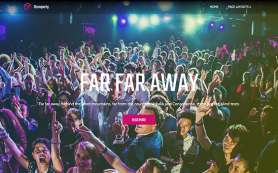 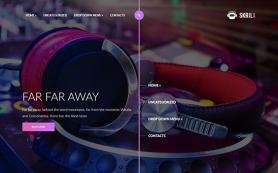 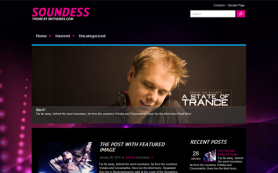 MusicSpace is a beautiful premium WordPress theme with elements of modern-day design. 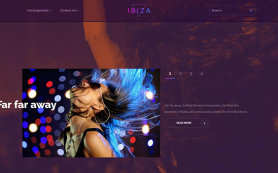 The creative theme has a striking mix of blue, pink and black colors along with a rich slider to give a stunning display to your images. 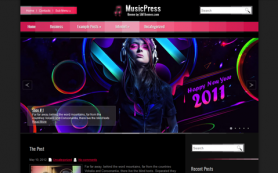 The bold design is inspired from the world of music and is a perfect fit for musicians, music bloggers and DJs. 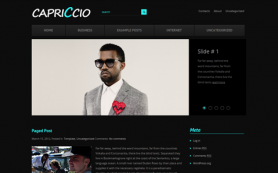 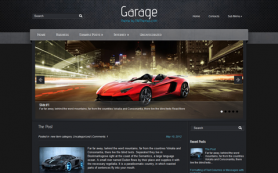 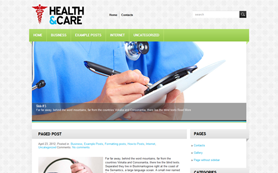 The free theme is easy to personalize and you can add YouTube videos and other links to drive traffic to your site. 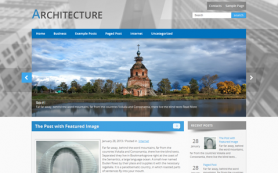 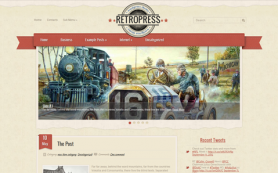 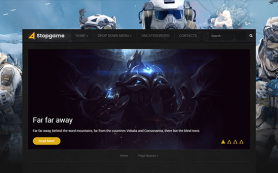 You can download the free WordPress theme to experience all its features.